We have selected 12 great wines for Thanksgiving as our Cellar Picks. The first seven are our picks to pair with Thanksgiving Dinner. The next 5 are great wines that will add a little extra Pizazz to your celebration. We have many other great Thanksgiving wines we can help you with if you are looking for something different. Tasting Notes: This blend is put together with the intention of showing what our estate has to offer. Our gorgeous estate ranges from 200 to 600 feet in elevation, with various volcanic and sedimentary soils; you will notice expressions of high toned red fruit, a rich, textured mid-palate, black cherry, deep black fruit qualities, and earthy aromatics. Notice how the structure and acidity create a dynamic perception, making this wine a culinary delight. Tasting Notes : The real beauty is inside and needs no makeup. That is “Biutiful”… an essential and pure Malbec with no makeup to distract. It sees no oak at all, and is fermented in old cement vessels without either adding yeast or correcting acidity. Its essence is represented by the butterfly inside the cocoon, and only one who looks inside can appreciate its beauty. Tasting Notes: Balance is when all the components in a wine are in harmony. If your palate can isolate the flavors of the wine then they haven’t fully fused. But when this happens, when all the pieces come together, then the wine is one and is pure heaven. The 2014 Estate Pinot Noir is there. The aromatics are smoky cedar and floral notes. They are delicate and not overpowering. The perfect balance of this wine is apparent immediately. No one component stands out. 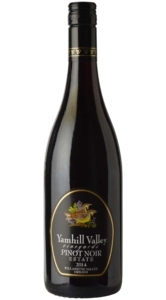 There is rich, black cherry flavors, candied fruit sweetness, a slight hint of black licorice, and rose petals. The wine is amazing in its balance. You really have to taste it to get it. 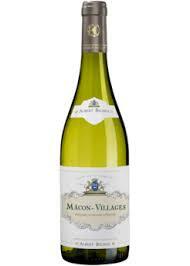 Tasting Notes: The wine has an attractive lemon color and a bouquet bursting with notes of flowers and crisp fruit. Aromas of haw- thorn and jasmine are particularly prominent, as are exotic yellow and white fruits such as peach and apricots. 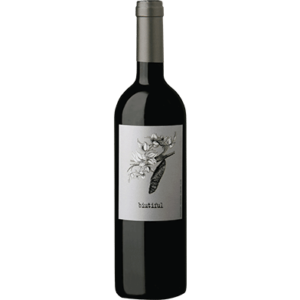 On the palate, the wine is medium bodied and flavorsome, full of fruit, with clear mineral notes. The wine is easy drinking and has an aftertaste of hazelnuts and nutshells. This wine may be served as an aperitif and pairs excellently with elegant raw fish dishes as well as delicate starters. Color – Vibrant grenadine with purple hues. Nose – Subtle aromas of summer fruits and red berries. Palate – A fresh and fruity wine with strawberry and red fruits notes. The balance between a nice fat and a nice liveliness is perfect. Notes of citrus fruits, sweet almond and red cherry on the finale. 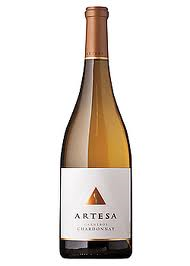 Tasting Notes: The Carneros Chardonnay is first and foremost about aromatics, and the techniques used are designed to retain the signature Carneros aromas of lemon-citrus and white blossom while accentuating the minerality and vivid, fresh fruit flavors of citrus and stone fruits in the wine. Partial barrel fermentation, malolactic and lees stirring create complex layers, imparting hints of oak and wrapping the flavors in a rich, generously textured mouthfeel and elegant finish. 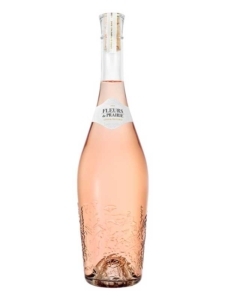 Tasting Notes : Crafted in the traditional Provencal style, Fleurs de Prairie is a pale salmon color with delicate flavors of strawberry, rose petals and herbs. Its bright, refreshing acidity makes it a perfect companion with a meal or as an aperitif. A blend of 55% Grenache, 30% Cinsault and 15% Syrah, the 2017 Cotes de Provence Rose is put together by Les Grand Chais de France for American importer Deutsch Family Wine & Spirits. Led by cherry and grapefruit flavors, it’s a silky textured, medium-bodied wine that spent three months on the lees. It finishes zesty and refreshing, with hints of tangy berries and citrus. Tasting Notes: Traditionally, the proportion of each grape variety used is 50 to 55% Pinot Noir, 15 to 20% Meunier and 28 to 33% Chardonnay. These figures vary slightly from year to year according to conditions. 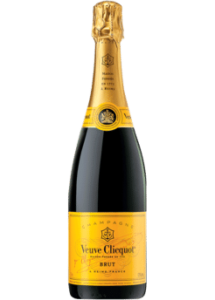 Veuve Clicquot Yellow Label manages to reconcile two opposing factors – strength and silkiness – and to hold them in perfect balance with aromatic intensity and a lot of freshness. This consistent power to please makes it ideal as an aperitif, and perfect as the Champagne to enjoy with a meal. 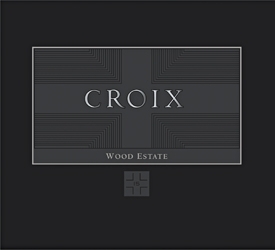 Tasting Notes : From Winemaker Kirk Venge, this estate wine is sourced from the heart of the appellation. Char, blueberry and layered swathes of dusty chocolate give it richness around a full-bodied palate that’s tempered by bright, lingering acidity. Tasting Notes: Looking first at the base 2016 Gigondas, it’s certainly going to be another outstanding wine from Barruol. Based on 70% Grenache and the rest close to an even split of Syrah and Mourvèdre, it offers classic St Cosme notes of dark fruits, tapenade, pepper and smoked earth. It has plenty of tannin and will need 2-3 years of cellaring and shine for a decade or more.